each wave piece is about 4 "X 4/34"
Little, cute, and oh so sweet! Instead of flip flopping the shape, Here I sewed the curves together to make columns, then sewed the strips together... 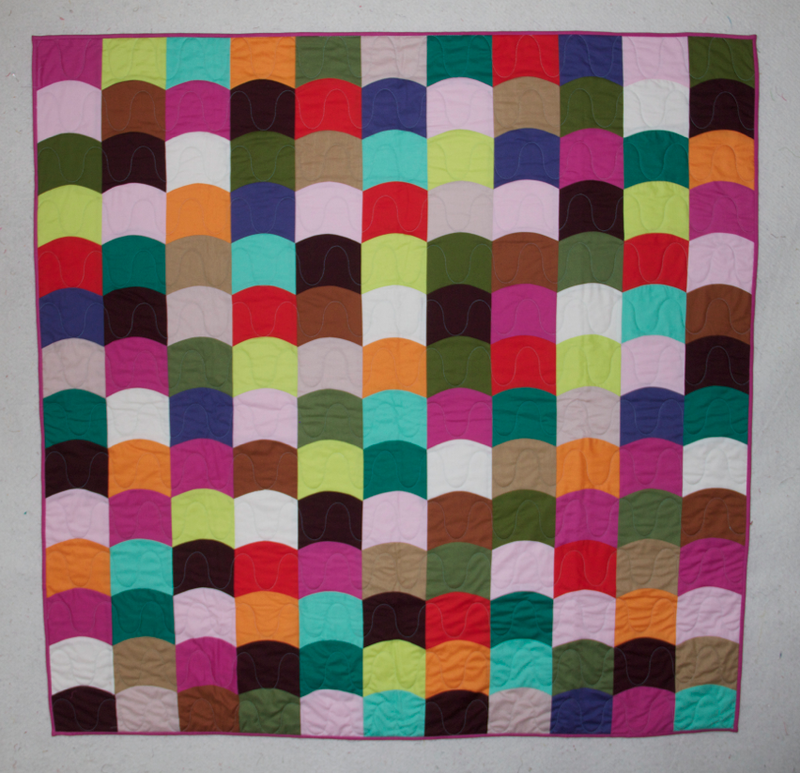 Picking out the solids was so much fun! 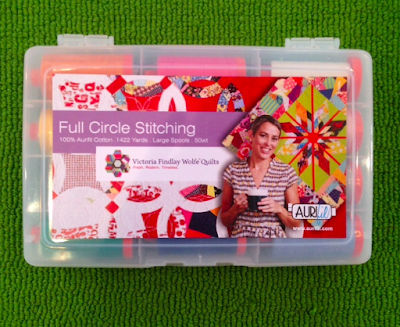 I have a new large set of 50 Wt Thread with Aurifil, Called Full Circle Stitching! 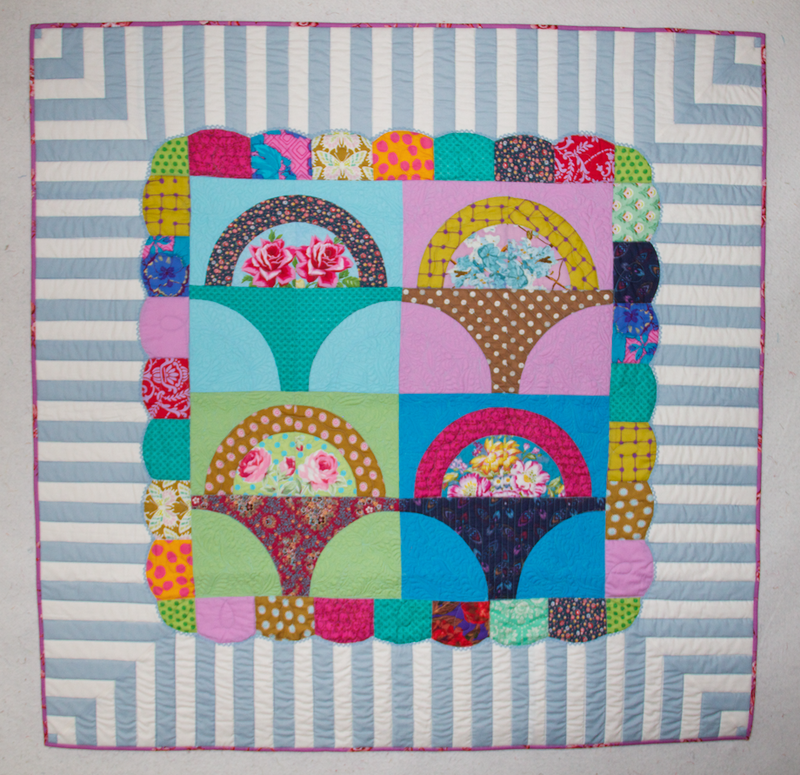 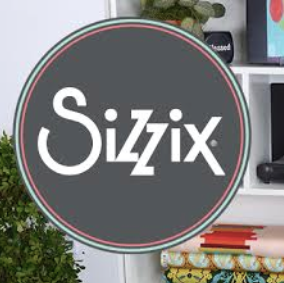 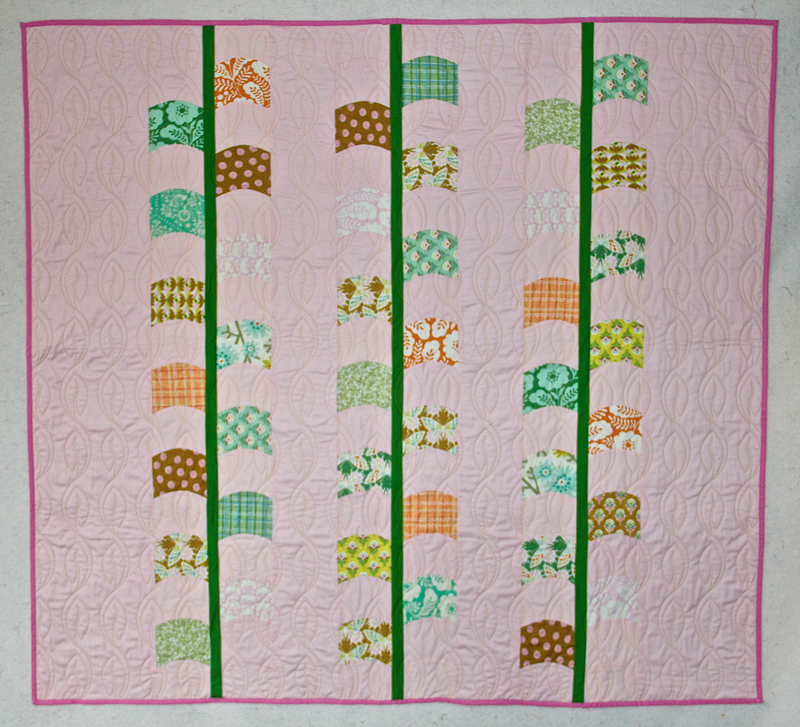 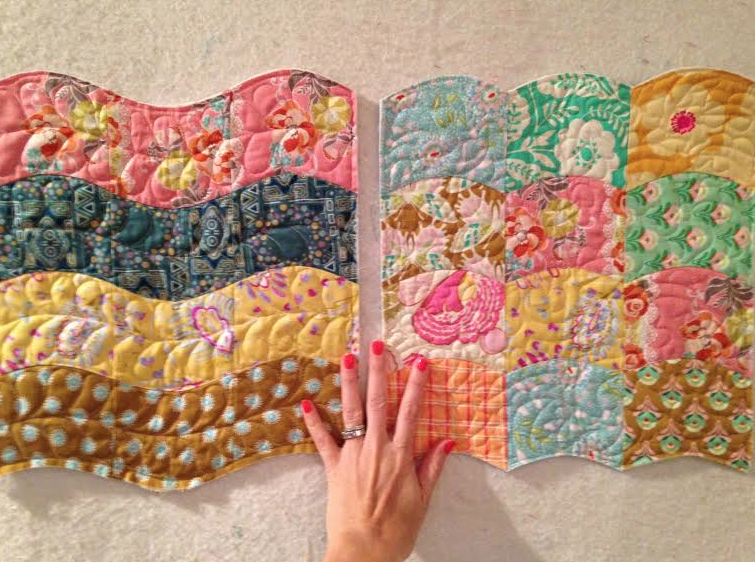 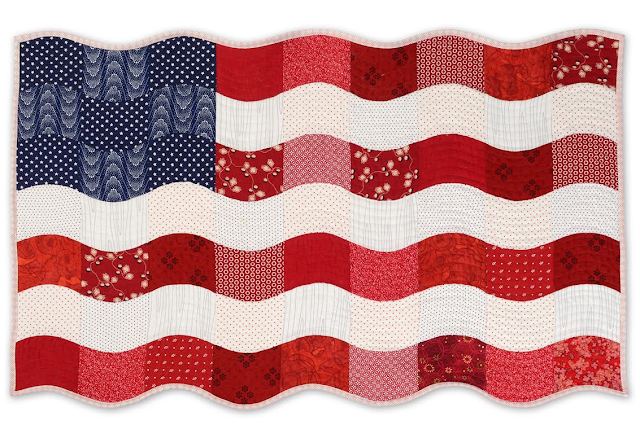 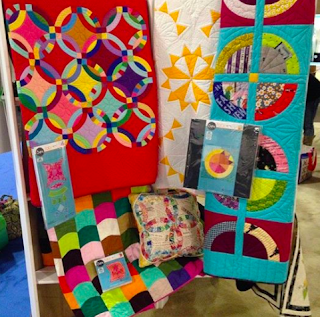 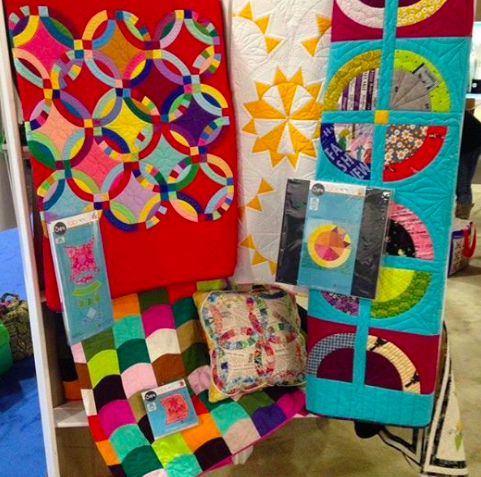 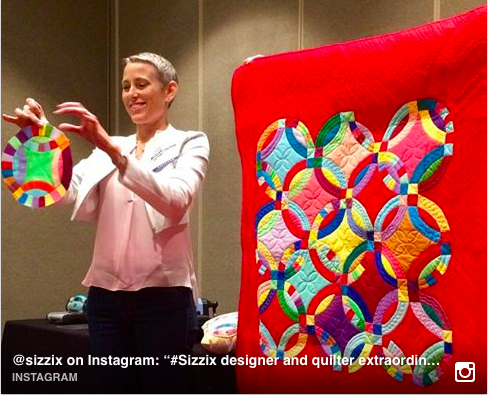 Thread for piecing, and free motion quilting, in a fun variety of colors and a few basics to inspire your quilting PLAY!